Harold Heiberg, 91, Professor Emeritus of music, died June 17. 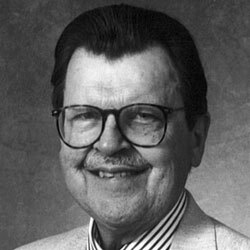 He was a professor of voice and accompanying at UNT from 1971 to 2004. His career included performing at Lincoln Center and translating more than 250 choral and operatic works from German, Italian, Norwegian and French. He earned a bachelor’s degree from St. Olaf College, served in the U.S. Army Signal Corps during World War II and then earned a master’s from Columbia University. He continued advanced study in piano, organ and voice. As a piano recitalist, soloist with orchestra, chamber musician and accompanist, he performed throughout Western Europe, the U.S., Puerto Rico, Canada and Taiwan, including 75 recitals for the U.S. Information Service of the State Department in Germany and Austria. He accompanied many accomplished musicians including mezzo-soprano Beverly Wolff and violinist Josef Gingold. He served as adjudicator for the Metropolitan Opera, published articles in the Journal of Singing and gave frequent master classes and workshops. For almost 40 summers, he taught German art song at the American Institute of Musical Studies in Germany and Austria. Heiberg received UNT’s Citation for Distinguished Service to International Education and the J.H. Shelton Excellence in Teaching Award. Memorials may be sent to the Harold Heiberg Vocal/Accompanying Scholarship at UNT.